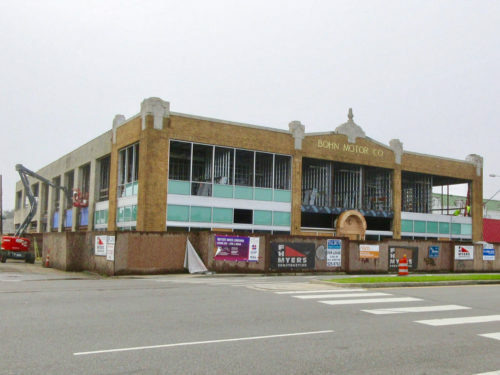 The Preservation Resource Center, as part of its Beams & Brews renovation happy-hour series, is providing an insider’s look at the renovation of the Bohn Ford Motor Co. building at 2700 S. Broad St. The circa-1925 Bohn Ford Motor Co. showroom, designed by famed architect Emile Weil, underwent years of abandonment and neglect. Now it being extensively renovated by Rhodes Commercial Development and Gulf Coast Housing Partnership. 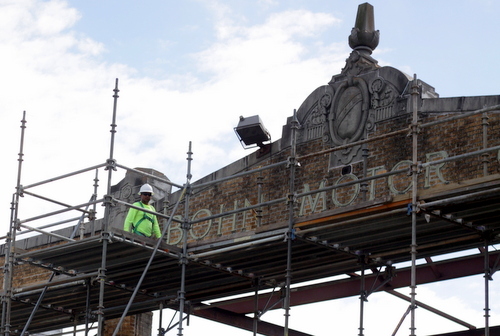 The old Bohn Ford dealership was purchased in 2005 by the Rhodes family of Rhodes United Fidelity Funeral Home, whose flagship location is just around the corner in what was the Tivoli Theater, the PRC said. Upon completion this year, the former Bohn Ford Motor Co. building will house Odyssey House Louisiana. The restoration will include a state-of-the-art health care facility with group and individual counseling rooms, medically assisted in-patient rehabilitation services, dining space, a common kitchen and rooftop access with an enclosed workout room and views of downtown. In honor of Odyssey House’s mission, no alcohol will be served at this event. A mocktail will be provided by Twelve Mile Limit. Beams & Brews, a series of social gatherings that shine a light on significant local renovations, is presented by Inhab and generously sponsored by the Witry Collective and Hancock Whitney. The event is Thursday from 5:30 to 7 p.m. at the old Bohn Ford building, 2700 S. Broad. It is $10 for the general public and free to PRC members. See the PRC website or event Facebook page for more information.